Half Wax, Half Sealant, Complete Protection. 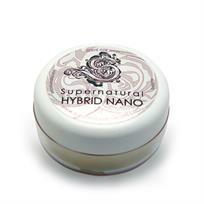 Get all the benefits of a nano sealant with all the gloss of a carnauba wax, with the Supernatural Hybrid Nano Paste Wax. This blend of synthetic sealant with carnauba wax offers the best of both worlds. The nano sealant ensures maximum durability and longevity, whilst the carnauba content guarantees amazing water beading and a deep wet look shine on every paint colour.